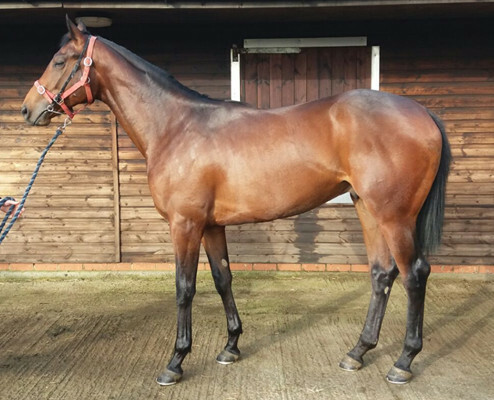 We are delighted to add this athletic, racey bay colt by Swiss Spirit who we purchased at the recent Doncaster breeze ups. A son of Invincible Spirit, Swiss Spirit was high class sprinter who ran over 5 and 6 furlongs who was trained by John Gosden. A Group winner at 3, he was the winner of 3 races at 2 and 3 years of age and held a timeform rating of 121 which was equal to his sire. The dam – Glittering Prize was a winner at 2 and places a further 3 times. This is her first foal. She is a full sister to Cairns who is the dam of 4 previous runners and 2 winners. Our colt looks a really nice type. He is very correct and looks to have a good temperament. He goes into training with Tim Easterby. 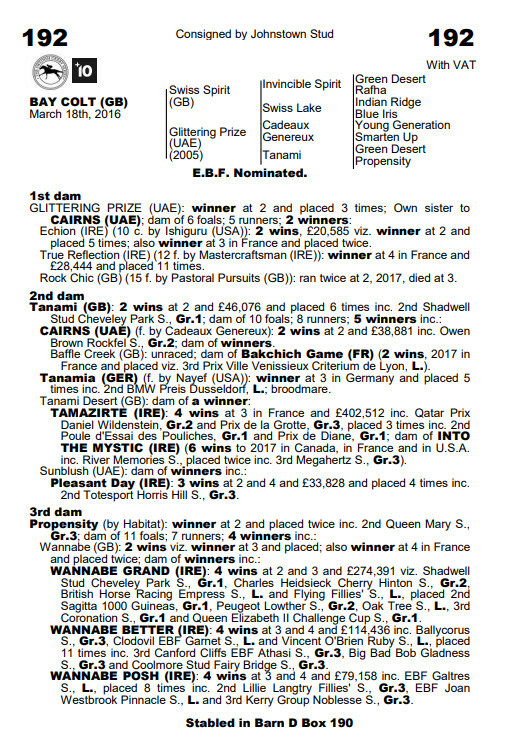 He is a very reasonably priced colt for anyone looking to dipping their toe into racehorse ownership. 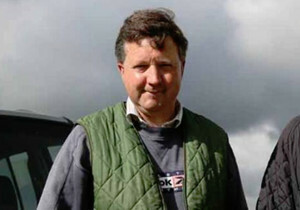 Tim has a fantastic runs to wins ratio and knows how to get the best out of a horse. This Colt also qualifies for the new Plus 10 scheme being by a stallion resident in GB or Ireland, where qualified horses earn an additional £10,000 should they win a class 4 maiden or above on top of the normally allocated prize money for the race victory as well as an additional £10,000 for each subsequent win in a class 4 to class 2 novice or conditions or nursery race. Its a fabulous new initiative and replaces the Racing Post Yearling Bonus and BOBIS Schemes previously. Get in touch with any queries you may have.